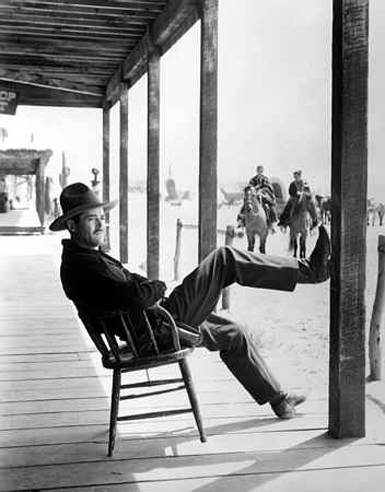 It has become clear to me that John Ford does something for others that he doesn’t do for me. Active from the silent era through the ’60s, Ford is regularly listed as one of the greatest American directors of all time, as well as one of the most influential. It’s not that I don’t like his films. I’ve enjoyed most that I’ve seen. But aside from The Man Who Shot Liberty Valance (1962), I haven’t loved any of them. Ford’s influence on the western is hard to overstate, and I respect what films like Stagecoach (1939) and The Searchers (1956) did to elevate the genre, but I wouldn’t count either as one of my favorite westerns. 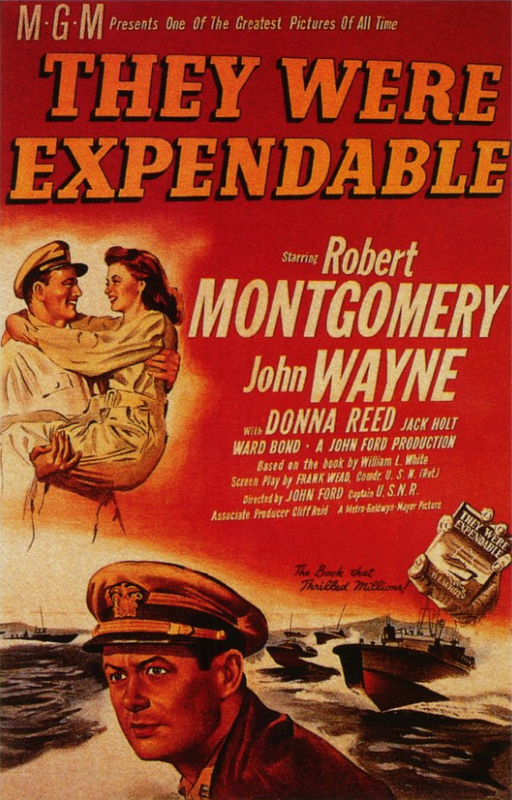 They Were Expendable was Ford’s first war movie. It is a fictionalized account of the exploits of Motor Torpedo Boat Squadron 3 in the early, disastrous days of America’s war in the Pacific. Based on the book by William L. White, the film stars Robert Montgomery as Lt. John Brickley, who believes that small, light PT (patrol torpedo) boats are the perfect crafts to use against the much-larger ships in the Japanese fleet. Despite the speed and maneuverability of PT boats, the top Naval brass reject Lt. Brickley’s plan, but he persists in equipping the boats and training his men, and they eventually launch attacks against the Japanese, and even use PT boats to evacuate Gen. Douglas MacArthur and his family when the situation in the Philippines goes from bad to worse. None of this was a problem for me. What was a problem was the inconsistent tone of the picture, exemplified by the two main characters. Montgomery underplays his role, but you can see the anguish behind his stoic mask. He demonstrates the value of bravery in the face of almost certain defeat. On the other hand, John Wayne, as Lt. (J.G.) “Rusty” Ryan, has swagger to spare, and is hell-bent for leather the whole time. He even finds time to romance a pretty nurse, 2nd Lt. Sandy Davyss (played by Donna Reed). Wayne doesn’t deliver a bad performance, but it’s a performance that seems better suited to a western than a film about the darkest days of America’s war against the Japanese. Maybe we can blame Ford and Wayne’s previous work together, and their comfort with a particular genre. Reports that Ford (who served in the navy in World War II and made combat documentaries) constantly berated Wayne during the filming of They Were Expendable for not serving in the war don’t change the fact that the two men made many westerns together before this, and would make many after it. Several scenes in They Were Expendable feel straight out of a western. Determined to have an Irish wake for one of his fallen brothers, Wayne forces a Filipino bar owner to stay open, even though the bar owner is trying to escape with his family in the face of reports that the Japanese are overrunning the islands. Even more out of place is the scene in which the old shipwright who repairs the PT boats, “Dad” Knowland (Russell Simpson), refuses to leave the shack where he’s lived and worked in the Philippines since the turn of the century. Wayne eventually gives up trying to persuade him to evacuate, and leaves him on his front porch with a shotgun across his lap and a jug of moonshine next to him, as “Red River Valley” plays in the background. The scenes of combat in They Were Expendable are well-handled, and the picture looks great. Montgomery is particularly good in his role. 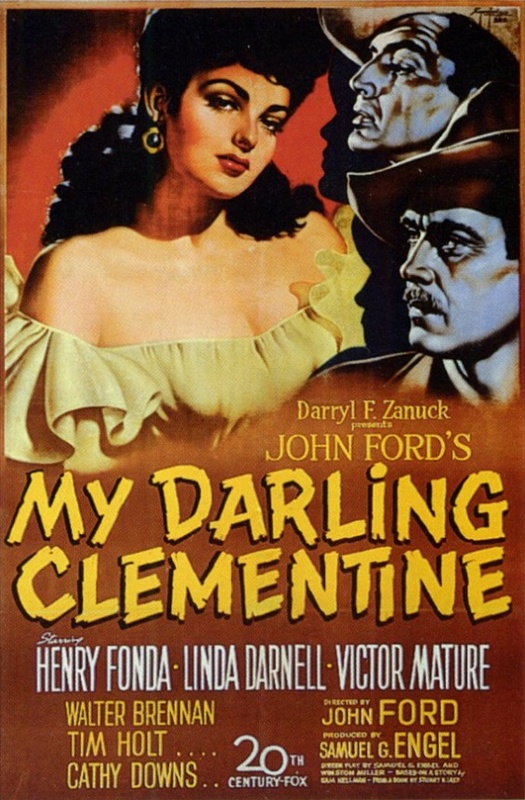 As war movies from the ’40s go, it’s not bad, but far from the best I’ve seen. Posted in 1945, December 1945 and tagged Alex Havier, Arthur Walsh, Bruce Kellogg, Cameron Mitchell, Charles Trowbridge, Cliff Reid, Donald Curtis, Donna Reed, Douglass Biggs, Frank E. Hull, Frank Wead, Harry Tenbrook, Herbert Stothart, Jack Holt, Jack Pennick, Jeff York, John Ford, John Wayne, Joseph H. August, Leon Ames, Louis Jean Heydt, Marshall Thompson, Metro-Goldwyn-Mayer, Murray Alper, Paul Langton, Robert Barrat, Robert Montgomery, Russell Simpson, They Were Expendable, Tim Murdock, Vernon Steele, War Movies, Ward Bond, William L. White, World War II. Bookmark the permalink.